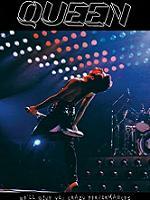 Queen waited four months between ending the News Of The World North American tour before playing in Europe. The first show was in Stockholm on April 12th and was released on the silver title Big Disgrace (GE-254/255) on Gypsy Eye, one of their last titles before converting into the cdr label Breakdown. The second concert of the tour at the Falkoner Theatre in Denmark is presented on Denmark News, one of two recent Wardour releases from the first two weeks of this tour. Denmark was released previously on Roc k 'n' Roll, Tonight, Okay!! on Gypsy Eye (GE-123/124) which uses a high generation copy of the common tape source. Denmark News uses a source closer to the master and sounds much more full with more dynamics. It is a significant improvement of Gypsy Eye. 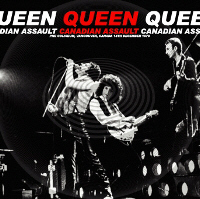 There are several very small cuts on the tape after "Spread Your Wings", "The Prophet's Song", "Tie Your Mother Down", "We Are The Champions", and "Sheer Heart Attack" but no music is lost. Perhaps the taper was checking the tape between songs. There is also a slight tape wobble during "We Are The Champions" and the encores. Some claim this is the best sounding tape from the entire European News Of The World tour that exists. 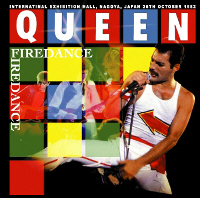 The venue is small and wasn't sold out (Freddie complains about the latter during the show), but helped the taper produce a highly enjoyable tape with a wonderful live sound to it. The set list for the spring tour was similar to the North American tour. 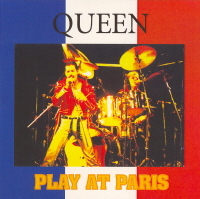 "It's Late", which was rarely played before, now became a regular inclusion replacing "Liar", which would only appear in the second Rotterdam and first London concerts. "Now I'm Here" on the earlier tour was segued directly with the guitar solo with no return to "The Prophet's Song". In Europe it has been moved to before the short acoustic set and played as an independent number with the guitar solo returning to "The Prophet's Song". Being the second night Freddie is in great voice. "We're gonna have a good rock and roll night tonight, okay" Freddie says before asking the audience for any requests and introducing the three minute long "Brighton Rock". Brian introduces "Somebody To Love" and the Copenhagen audience clap along loudly and will throughout the night. Before the medley Freddie says, "We're gonna do an encore...we have a lot of rock and roll tonight". The medley remains the same as in North America with songs from the previous three albums and "Get Down Make Love" from the new one. It is curious that in every live tape Freddie forgets the second line in "Good Old Fashioned Loverboy" and scats instead of singing "Set my alarm, turn on my charm". 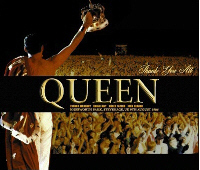 After "You're My Best Friend" Freddie comments that Copenhagen is the only audience in the world that claps along with every song and introduces "Spread Your Wings" as their latest single written by John Deacon. The acoustic set is two songs long and Brian introduces "'39" as " something to clap along to." Freddie introduces "My Melancholy Blues" as a quiet number from the new album and is accompanied by loud whistles and yet more rhythmic clapping from the audience. 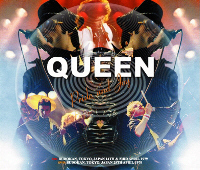 The rest of the show is dominated by faster and heavier songs with the "White Man" / "The Prophet's Song" lasting almost twenty minutes, including Freddie's vocal gymmastics with the harmonizer and May's long "Brighton Rock" solo. The set ends with the big hits from the latest album "We Will Rock You" and "We Are The Champions". The slow version of the former never captures the fun of the studio version and the band forget time signatures in this show almost leading to a breakdown but recover to deliver a great version of "We Are The Champions". 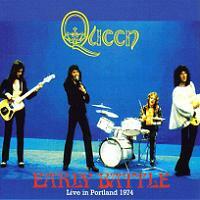 "Sheer Heart Attack" is the first encore and begins with Roger Taylor's loud shout of "rock and roll". "Jailhouse Rock" is the final encore and is extended to almost five minutes long. 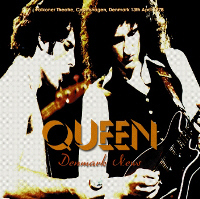 Denmark News was released at the same time as Vienna Waltz with the tape of the May 2nd Vienna tape. It is curious Wardour chose to duplicate two shows that have already been issued by Gypsy Eye, but both are vast improvements and are two of the best tapes from this era. They use high class glossy paper inserts with photos from the tour superimposed over the Kelly Freas robot monster from the News Of The World album cover. It is limited to three hundred copies and is an excellent release in the recent spate of Queen activity by the Wardour label.